Musician. 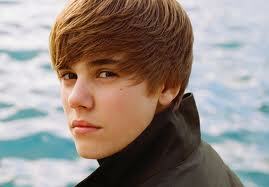 Born March 1, 1994, in Ontario, Canada, Justin Bieber was raised by a single mom in the small town of Stratford. Bieber, whose debut album My World hit stores in November 2009, is a true overnight success, having gone from an unknown, untrained singer whose mother posted YouTube clips of her boy performing, to a budding superstar with a big-time record deal, all in just two years. But it was an obscure talent contest in his hometown, in which the 12-year-old Bieber finished second that put him on the road to superstardom. As a way to share his singing with family, Justin and his mom began posting clips of Bieber performing covers of Stevie Wonder, Michael Jackson, and Ne-Yo on YouTube. Bieber’s first single, One Time, went certified platinum in his native Canada shortly after its release. His album matched that success, selling more than 137,000 copies within a week of hitting stores. Bieber now lives and works in Atlanta.